Correlation does not imply causation | Damian Trasler's Secret Blog - Do Not Read! ← Is it time to stop e-publishing? That’s my caveat for today, the last day of my free giveaway of “Troubled Souls”. I’m keeping it in mind because I’ve had FOUR sales this month (and this month is less than 10 days old) when I usually get around two or three at most. Four sales, with three being the follow-up book to “Troubled Souls”. This is the first time I’ve seen any connection between a giveaway and sales, but this is also the first time I’ve given away a book with a direct link to a connected book. 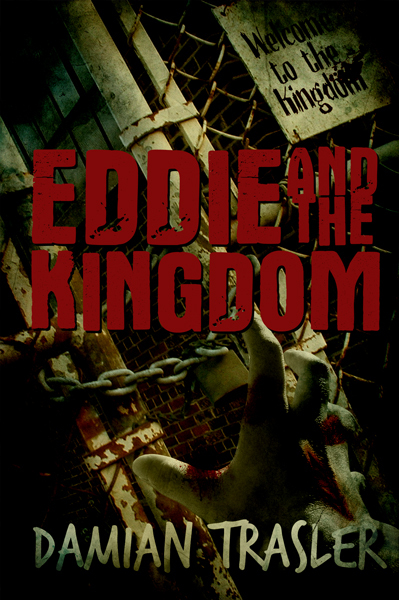 Previously, “Troubled Souls” mentioned that “Eddie and the Kingdom” was coming, but there was no link. Now “Eddie” is finished, published and the link is in “Troubled Souls”. And at least one person has chosen to buy another of my books. At just over forty downloads in total (worldwide), this has been my most successful giveaway, and the one I worked hardest on. The usefulness of the giveaway gets debated a lot, but I think we can assume causation here. With a direct link between the book being given away free and the book that follows it, I have generated some sales from the free offer. This should be good news for people writing series books – trail the next book at the end of your previous book, and include a link, and free giveaways of book one should lead to some sales of book two. Make it easy for your customer to spend their money – they get to the end of the first story, read a teaser for the second and the link to purchase is right there….Click! I don’t think there’s ever going to be a magic bullet – something that everyone can do that will guarantee sales or success. Anyone who tells you that is likely trying to sell you their book “How to sell your e-book”. But in this case, I think there is a connection between the giveaway and the sales, and if I were a better marketer, both the number of downloads and the number of sales might be higher. That doesn’t mean the number of sales of unconnected books of mine would be higher, though. At least one person has said they liked my short stories but weren’t interested in zombies. My butterfly attention span when it comes to genre is certainly working against me there. But if you find your niche and love living in it, you could use this tactic to add sales from giving away your older books. This entry was posted in Book reading, Writing and tagged Damian Trasler, ebooks, free offer, giveaways, increase sales, Self-publishing, selling ebooks, writing. Bookmark the permalink.